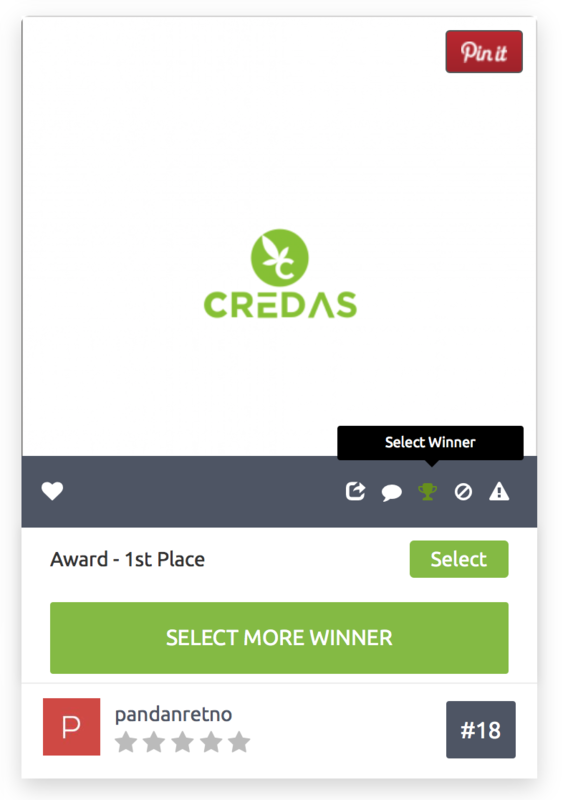 You can award a winner during the open stage when you are still receiving the designs. However, we recommend that you wait till the end of the contest. 1. Go to the ‘Entries’ tab and click on the 'trophy icon' beneath the design you wish to award the prize to, and click the ‘Select' button. Next, you’ll be asked to confirm that you wish to award that design as the winner. Please ensure that you’ve selected the correct design and then click on the CONFIRM button. 2. You can also award a winner from the fullscreen view for any design in your contest. To do this simply click on the trophy icon and from the dropdown menu select the design as a winner. Note: Once you’ve confirmed your winning design, your contest will enter the Design Handover stage. During the Handover you’ll be able to request minor design revisions before the prize is released to your winning designer. You can also award multiple winners if you like more than one design. Also, once you've selected a design as a winning design, you can no longer ask for a refund. You waive off your rights for any refund or claim. Please read our refund policy to understand more about refunds.